The Scot who gave her life to protect Jewish schoolgirls during the Second World War is being celebrated in a new heritage centre officially opening this weekend. 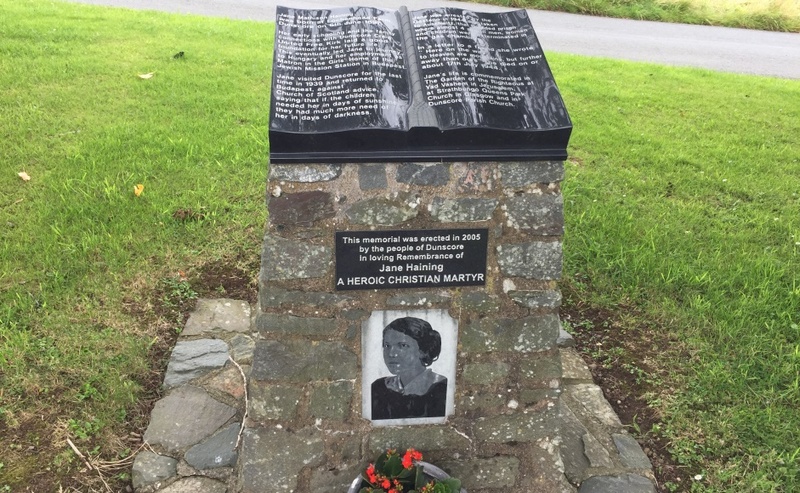 Jane Haining's story of heroism, bravery and personal sacrifice - which resulted in her dying at Auschwitz in 1944 at the age of 47 - is being remembered at Dunscore Church in Dumfries and Galloway. The Church of Scotland said a room near the front of the A-listed building has been extended to feature photographs, letters, documents and other personal items relating to the Kirk missionary, who was born near the village in 1897. The centre is being opened on Saturday - Holocaust Memorial Day - by the Lord-Lieutenant of Dumfries, Fiona Armstrong. The annual event is dedicated to the memory of people who suffered during genocides in mainland Europe, Cambodia, Rwanda, Bosnia and Darfur. Ms Armstrong said: "Here in Dumfriesshire, we are very proud to honour the memory of such a brave and selfless woman. "This new heritage centre will help to keep Jane Haining's memory alive and it is a tribute to those in Dunscore who have made it possible." 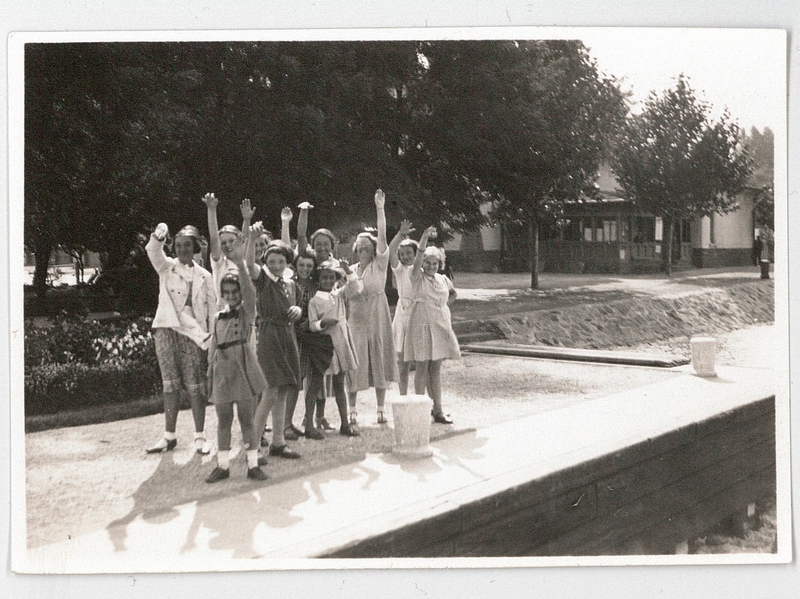 Miss Haining worked at the Scottish Mission School in Budapest, Hungary, during the 1930s and 1940s. She repeatedly refused to return home after war broke out, despite advice from church officials, saying the children needed her in the "days of darkness". She was arrested by two Gestapo officers in 1944 and later died at Auschwitz-Birkenau, the notorious Nazi death camp. Miss Haining is the only Scot to be officially honoured at the Yad Vashem memorial in Israel for giving her life to help protect Jews in the Holocaust. Miss Haining's family is being represented at the event by her niece, Deirdre McDowell, of Londonderry in Northern Ireland. Ms McDowell, who is to unveil a plaque in memory of the missionary, said: "It is a fitting tribute to Jane's memory that a heritage centre has been opened in the village where she was born. "The people of Dunscore have been wonderful in getting this centre up and running so there is a comprehensive, lasting memorial to her life." Rev Iain Cunningham, convener of the Church of Scotland's World Mission Council, said: "This year's theme for Holocaust Memorial Day is the power of words - words that can make a difference both for good and evil. "So it is fitting that at this time we remember the poignant words of Jane Haining. "Jane's words live on like a light shining in the dark places of today's world." The heritage centre was created as part of renovation work to the building, which was part-funded by a £106,400 grant from the Heritage Lottery Fund and Historic Environment Scotland. It is open in Sundays between 2pm-4pm.